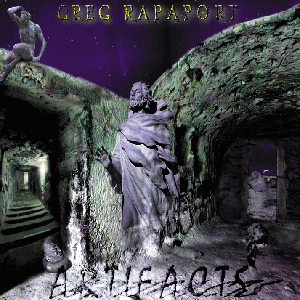 Artifacts is an instrumental recording based on a fusion of many different musical styles. Being totally instrumental a lot of thought had to be put into the music and what I wanted to say. The songs vary a lot in nature, ranging from aggressive metal to soft jazzy ballads. I incorporated a lot of funk style bass and drums, throwing in some odd time for good measure (pardon the pun). On this recording I played all the instruments. I feel on a project like this it can easy to lose focus and branch out to far. I guess that's why it may be easier for me to write and play everything on my own. That doesn't mean I'm going to limit myself though. It's just that finding like minded musicians can be tough and also making time to go through the writing and rehearsing process can be tough. This recording was done in my project studio, Splinterhead Recording. As far as engineering and recording techniques go I learned a lot more this time around. I worked very hard to get a really good bass sound as that instrument played a more prominent role on this cd. Also developing a good lead guitar sound was a priority. I found that by using Line 6's POD, I was able to ge a good clean defining sound with their Modern Class A patch. As far as the heavy stuff goes, the Rectifier sim was the only way to go. I primarily used the POD for preamp sounds and the Roland VS-1680 for all the effects.